Oh! We cannot deny the fact that the advancement of technology never ceases to amaze us! The huge impact and its great contribution to our daily life is unforeseeable. Imagine, having the chance to work from the comfort of our home; and being able to see our loved ones who are living in another part of the world; these are only few of the good proofs of how technology continues to progress, offering amazing opportunities to its users. I don’t know if you've heard the word “dry ice blasting”, but when I first read this word I did not have any idea what it was. The first thing that crossed my mind was one of those machines used in getting rid of the snow covering the street, but I was wrong, as it a useful way of cleaning heavy equipment used in different industries like airlines and automotive, electrical, food and drug processing, plastics, printing and even for general maintenance and restoration. You read it right, gone are the days when you need to clean your machines manually! However, there are some factors that one should consider when using a dry ice blasting machine. Using proper gear for safety precautions should not be neglected, since the machine you’re using is highly pressurized. 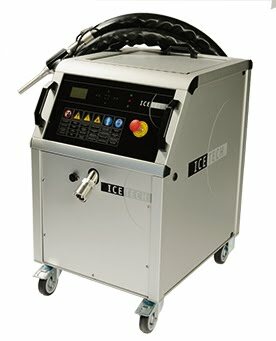 So if you’re in need of cleaning a machine for your business I urge you to head on to Ice Tech's website. They offer high quality machines, that are reliable, easy to operate, multifunctional, ergonomic and much more. Anyways, my knowledge about dry ice blasting is not really enough for you to rely on my post but then again Thanks for reading my post, at least you are now aware! You can get more information about the cleaning innovation by visiting their website where you will not only learn more about the dry ice maker but also about IceTech Company. I thought it's a machine to freeze food to preserve it. Technology really is fascinating! As technology progresses, we get to enjoy machinery such as this one. I thought it was to freeze ice that they use to preserve ice cream :) what do I know, right??? The first thing came into my mind was that, it's an equipment for making ice. :) hahaha! I agree! As the years went by and through blogging, i also got a chance to find new products that i never seen before and what are their usages are. This how makes the world a beautiful place to live, isn't it? Thanks for this information. It's always good to learn something new everyday. i have never seen something like this, looks really cool, that's the best on this time,gadgets are really innovative. Really? Dry Ice is already used for cleaning? I thought it's used to keep ice cream frozen.